Thank you to everyone who entered our fun stripey party giveaway from Mon Tresor! I hope you enjoyed browsing through Suzanna's storea and that you have discovered another blog to get the creative juices flowing! 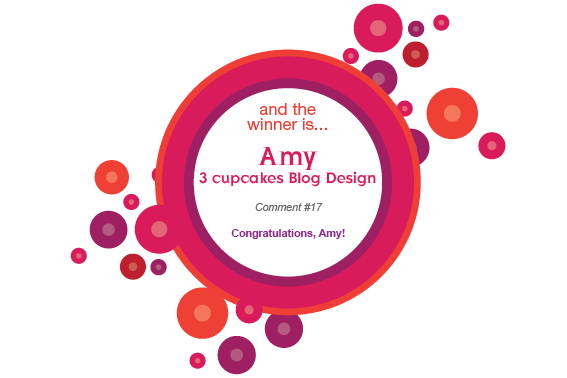 Our winner is comment #17.... Amy from 3 Cupcakes Blog Design. Congratulations Amy, we'll organise your prize! Our next spring giveaway will be a little something from yours truly...you'll need to spread some love, but more details to come! !